Holistic Allergy Treatment – Does It Really Work? Holistic allergy treatment REALLY does work IF you precisely follow the treatment protocol with a certified Nambudripad’s Allergy Elimination Techniques (‘NAET’) doctor. My family and I are a true testament to this fact. I read many negative reviews when I first carried out research on NAET treatment. It made me seriously think twice before undergoing such treatments. However since I was desperate, I decided to proceed with NAET treatments. I have never regretted my decision. You can read about this in my post “How to Become Allergy Free – 5 Steps You Need to Know”. The NAET doctor, and the book “Say Good-Bye to Illness” by the founder of NAET treatment, Dr. Devi S. Nambudripad helped my family and me become allergy free, thereby restoring our health. In addition they taught us how to support a healthy body in order to prevent future sickness. We use this priceless knowledge every day. Reading critical articles about NAET treatment that contain statements such as: “it is a fraud”, “it is a wacked treatment”, “it has lack of scientific proof”, and “it is a potentially dangerous technique” make me angry and frustrated. were paid to post critical reviews by competitors. (1) avoid contact with allergen or (2) go through drug treatment, using both steroids and antihistamines to control allergic symptoms. The complete avoidance of allergens can be very difficult. For example, with a seasonal allergy, people constantly inhale pollen. Their only solution during the allergy season is to travel to a region where plant and trees to which they are allergic to do not exist. However, if you are allergic to vitamins, minerals, chemicals, formaldehyde, and perfumes, it is impossible to avoid these substances completely as you are exposed to them everywhere. We are constantly surrounded by minerals in the water, vitamins in foods, pollens in the air, people and cars with smells, chemicals in the house, shops and hospitals, etc. In my case, I was allergic to the all above mentioned allergens. The list of my allergens was endless. My body was exposed to these allergens 24 hours a day, resulting in my body becoming extremely weak and developing many chronic illnesses – till I started NAET treatments. What does NAET make different from other treatments? NAET treatments actually ELIMINATE allergies, making the avoidance of allergens no longer necessary. NAET is completely natural and painless. Anybody can be treated with NAET, including newborn babies, the elderly and even pets. Now, I will explain,as simply as possible, the principals upon which NAET allergy treatment are based. NAET is a holistic energy-blockage removal treatment. In order to comprehend better how NAET actually works, you first need to understand how our nervous system is organized. Dr. Devi S. Nambudripad explains in her book “Say Good-Bye to Illness” that the brain and spinal cord are the two main components of the central nervous system. 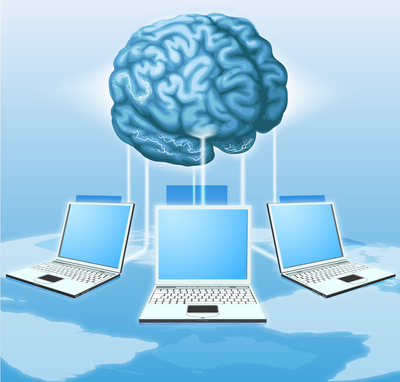 The brain functions as the body’s “computer” that controls proper function of the entire body. The brain continually receives and analyzes information from the nerve fibers about conditions inside and outside of the body. In return, the brain sends out messages that manage the body’s actions and functions. 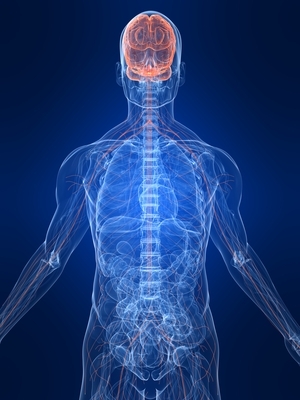 The brain, through 31 pairs of spinal nerves, operates the entire body’s function. Sympathetic and parasympathetic nerves radiate from the spinal cord to all parts of the body. Dr. Devi S. Nambudripad explains that illness is a warning given by the brain to the rest of the body regarding energy blockages within the meridians. Any abnormal body conditions (e.g. headaches, pain, inflammation, fever, heart attacks, tumors, abnormal growths) are the brain’s signal of the possible danger if the energy blockages are not removed over time. I explained in my post “Why Do People Have Allergies – MYSTERY Solved!” that there are three levels on which energy blockages can occur in a meridian. These are: (1) physical, (2) nutritional and (3) emotional. Regular physical exercise helps to push away energy blockages from the meridians. Nutritional and emotional energy blockages can be temporally removed by a chiropractor and/or an acupuncture practitioner, and/or by using herb supplements. This helps an individual obtain some relief. However, it does not solve the health problem, since the cause of energy blockages – allergen is still present. Before NAET treatments,I had osteopath treatments, practice the Chinese energy exercise, and took Tibetan herbs. They all helped me remove energy blockages temporally. Unfortunately, they did not help me eliminate the cause of my sicknesses – allergy. NAET treatment can remove the energy blockages in energy meridian and restore normal energy flows over a short period of time. As a result, the brain will again operate and properly coordinate with the body. 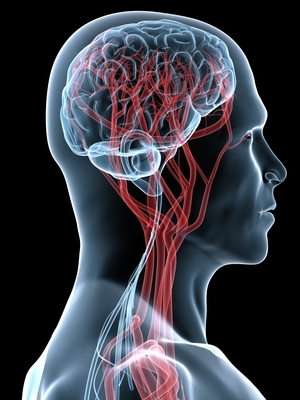 When the brain does not coordinate with organs, their functions are damaged. When energy circulation is restored, the organs resume functioning normally. The brain and body are again working together. The body assumes the perfect balance – called homeostasis. Allergies and disease no longer affect the body. The body resumes absorbing all the nutrients from foods. Our brain’s “computer” can be reprogrammed through NAET treatments. We only need to acquire the corrected program in order to fix the health problem. During NAET treatment, the central nervous system is moderately stimulated in the presence of each allergen, in order to reprogram the brain with the ‘new message’. This is accomplished through the stimulation of the spinal nerves using specific acupressure and spinal manipulation. Neither drugs nor allergy shots are used during the NAET treatment. In my post “Your First Experience with a Certified NAET Doctor – 7 Steps To a Successful Cure!” I explain in details what steps you go through during NAET treatments. NAET helped my family and me become allergy free and restored our health. It can help you as well. Please post any questions you may have and I will be sure to get back to you within the next 24 hours, if not sooner. I have acid reflux, bile reflux, constipation, a hoarse voice from acid/bile reflux. You mentioned allergies. Can a NAET doctor cure all my problems by fixing my allergies. I’m confused. Please explain how this can help. Hello Rodney.. I am glad that you are looking for an alternative way to heal yourself since in most cases Western medical approaches do not work for acid/bile reflux suffers. Western doctors offer to go through surgeries and take some medications. None of these will solve the problem. It might provide temporally relief for some with many side effects. I started developing the first problem with my digestive system when my appendix was removed at the age 17. I described my story in my post http://allergyfreeforeverway.com/how-to-become-allergy-free-what-you-need-to-know. I suspect that the main reason you have a problem with your digestive system because you have some allergies issues. You may be allergic to certain foods, minerals, vitamins, water, your stomach acid, your digestive enzymes, chemicals, etc. Allergy always attacks the weakest part of the body. For example, if someone has a weak stomach, allergies will affect the stomach tissues. The victim will suffer from digestive disorders whenever he/she comes into contact with an allergen. This was the case for me, as I have a weak stomach. So whenever I inhaled, ate, or touched allergens, my stomach became irritated and I became sick. Please read more about allergy here: http://allergyfreeforeverway.com/what-is-allergy. When I visited my first NAET doctor, she explained to me how NAET works. It probably sounds strange for you since you are not familiar with NAET treatment concept. Please read more about NAET on my website and everything should become clearer. http://allergyfreeforeverway.com/holistic-allergy-treatment-does-it-really-work. After testing you with MRT (Muscle Response Testing) http://allergyfreeforeverway.com/self-diagnoses-and-self-treatment, NAET doctor will be able to tell you more about your condition. It takes time, money and effort to go through many NAET treatments. However, it will bring your good health back. I am not only the one who recovered from a chronic sickness. Thousands people around the world became healthy through NAET treatments as well. Please read more in my post http://allergyfreeforeverway.com/how-to-become-allergy-free-what-you-need-to-know what steps you need to follow to get better. I suggest for you to go to NAET website, find a certified NAET doctor near you and make your first appointment. The longer you wait, the worse your health will become. If you have more questions, please do not hesitate to ask me and will come back to you as soon as I can. I have been doing Naet treatments for many years now, I went again today because of a tumor on my back. I believe it was caused by a spinal block from a csection, I have a newer Naet Doctor and he didn’t know how to treat it. Any ideas on what to try? Hello Amanda… I am afraid that I can only speculate about the cause of your current condition. I would go to another NAET doctor for another testing as your current one cannot figure it out. I visited two NAET doctors before I found my current one. Luckily for me, she is a very very professional one. I live in Minneapolis, MN. If you are interested, I can give you her contacts. I live in Duluth mn and would be interested in your Dr. contact info. also how old would you recommend kids be before trying this type of treatment. Hello Chayme.. I asked my NAET doctor about new patience and unfortunately she said she did not take new patience any more at the moment as she has too many existing patience. I think there are several other certified NAET doctors in MN. You can find them on the official NAET website: http://www.NAET.com Children of any age can be treated with NAET. I have seen new born babies in my NAET doctor’s office. My daughter was 3 years old when she was treated for the 1st time. What do I look for in a qualified NAET practitioner? We’ve just begun treatments for our 2 teenage daughters using a D.C. Recommended to us by our craniosacral therapist, but how do I know she is doing the treatments in a thorough correct fashion? It’s quite pricey so I’d like to be sure we’re on the right track. Thank you for any input. Hello Kristie.. I am glad that you are looking for an alternative holistic way of making your daughters healthier. Regarding your very good questions, please read my post: “Your First Experience with a Certified NAET Doctor – 7 Steps to a Successful Cure!“. I described very detailed there how you can find a certified NAET doctor and what you should experience while you have a NAET treatment with a certified NAET doctor. If you have any more questions, let me know. I appreciate your quick reply and I’ve read the article you referenced. Thank you for the guidance. I’m putting a lot of faith in this healing modality for our daughters who suffer from quite serious depression and anxiety. It controls their, and our lives, and so far meds and therapy offer zero relief (which I knew they wouldn’t) They have 12 and 18 allergies respectively, per MKT which the Dr said absolutely would cause the emotional issues they deal with. SO hopeful this gets to the underlying cause for them. Thank you for sharing your knowledge and teaching ithers how to help themselves in a more safe gently fashion. Hello Kristie.. I am very glad that everything I am trying to share was helpful for you. I have couple thoughts that came to my mind regarding your daughters’ case that I would like to mention. First, do not expect immediate ‘miracle’ changes after several treatments. As any allergy causes imbalance in our bodies, it takes time to get the body balance back. NAET treatments can show immediate results for certain foods or substance such as eggs, milk, smells. For example, my daughter used to brake up with rushes any time she ate eggs. After one NAET treatment, she could eat eggs without any problems. However, if a person has multiple allergy issues, it takes longer to make the whole body function properly again. As your daughters have multiple allergy issues, it will take some time to see their general health body improvements. Second, I am not sure if your NAET doctor checked your girls for allergy reaction to certain emotions such as fear, anger, luck of confidence, etc. I had several emotional allergy issues and my daughter as well. She had some issues at school because of that as well. When she faced any a little bit more difficult tasks, she simply shut herself down without even trying to solve the problem. Her charter school has very high expectations and discipline. She has a lot of pressure at school. It caused her serious allergy reaction. As soon as she was treated with NAET for several emotions, she became much more confident and one of the best students in her grade. Her teaches are pretty amazed of the changes. In summary, I recommend to be patient, observe your girls all the time, learn self-testing technique and keep going forward with NAET treatments. I’m so glad you mentioned having them tested for allergies to emotions. I’ll ask the Dr on Monday at our next appointment as it makes a lot of sense given their intense emotional struggles. Your daughters story gives hope for sure and I’m happy that she has found relief! While optimistic, I’m also a realist and know this is going to take time but at least we are on the right track, finally. I’ve been taking the oldest to various therapists for 7 years, starting with OCD issues that eventually expanded into debilitating social anxiety and depression. Then her younger sister started with irritability in 5th grade that spread to depression by 8th grade, worsening to the point she is miserable with her life as a sophomore in high school. Again, this is with meds on board and weekly therapist visits, to no avail. About 2 weeks after the 16 yr olds first treatment using BBF, she had a severe meltdown landing her in the hospital for suicidal ideations. The Dr was going to be out of town otherwise doesn’t like to go more than 7 days between treatments. When I told her what had happened she suspected that the emotional component did not clear. She was right and did another BBF clearing on Friday, with acupuncture needles necessary afterwards to facilitate the clearing. It was fascinating to hear what was happening. Theres more but I know this is already a very long comment! We’re going to be patient and stick with this, not expecting miracles but hopeful for gradual improvements in their physical and emotional health. Sorry for the lengthy post! My son has received NAET treatments for specific seasonal allergens, like pollen and mold. The treatment works, but only for a short time, then it all seems to come back. Could there be something underlying we need to address? Tha k you. Hello Karin.. Was your son checked for basic minerals, vitamins, foods, etc? According to my super professional and knowledgeable NAET doctor, seasonal allergies are the toughest ones to eliminate as first other basics allergies have to be checked and eliminated. In most cases before eliminating seasonal allergies, other allergies should be addressed. Normally once the allergy is eliminated, it should be gone for good unless it is an emotional allergy. These can come back in the case of experiencing big stress, trauma, etc. I would recommend talking to your NAET doctor about it and check your son for other allergies. Hi Tanya, i am suffer for bile reflux and since i lives in Jakarta/indonesia. Have not heard about naet yet even the specialist. Have a severals timed visited the senior of internist and still the same candition. Do you have any reference in jakarta for naet? Hello Teresia..I do not have any personal reference to any NAET doctors in Indonesia. However, you can find couple NAET practitioners at the official NAET website: https://www.naet.com/practitioner-locator. I have been receiving treatments for allergies by laser light acupuncture. It seems to be working some but I just wonder if the NAET is better? Have you heard of the laser therapy? Hello Holly..As far as I know NAET does not support the use of lasers in lieu of acupressure and acupuncture modalities. Do-it-yourself, at-home type kits can be extremely dangerous or harmful. Laser devices to treat allergies are currently being investigated by the FDA for inappropriate activities and claims. NAET is not responsible for any damage that is done by the use of such devices attempting to mimic NAET techniques. Any and all allergy treatment must be supervised by an approved and licensed health professional. Please read more here: https://www.naet.com/about/disclaimer. Do you know a of a good Naet Practitioner in the San Francisco Bay Area? Hello Raul.. Unfortunately personally I don’t know any NAET practitioners in San Francisco area. However, you can find all certified NAET practitioners on an official NAET website. In this post I described step by step what you should experience during your first visit to the NAET doctor. If you experienced something completely different, this means that most likely you would not be provided the proper NAET treatment. Is this type of treatment similar to acupunture o energy therapy? Besides this therapy do you eat healthy and exercise? Hello Mo..I would say it is a combination of acupuncture and energy treatment. You can read more details about NAET treatment here: http://allergyfreeforeverway.com/your-first-experience-with-a-certified-naet-doctor-7-steps-to-a-successful-cure. Compare to the traditional acupuncture treatment, NAET is absolutely the pain free treatment. I exercise at least 3 times a week. Nothing heavy. I just swim, walk or go to my favorite bicycle classes. As I have a pretty sensitive stomach to begin with, I try avoiding spicy foods and sugar and of cause I include into my diet a lot of veggies and fruits. can I ask what specific allergenic products, chemicals, problems in the mechanics of the body, muscles or other things caused of you bile reflux? Hello Ihor..I was allergic to around 54 different substances including minerals, vitamins, foods, chemicals and my own acid stomach and enzymes. 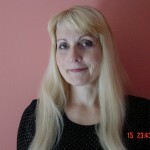 Please read my detailed story here http://allergyfreeforeverway.com/how-to-become-allergy-free-what-you-need-to-know. If you need more help, let me know. Hello everyone…I am Tanya. I have been struggling with allergy related health issues for 20 years. The reason I have decided to create this site was to help people to see the path to curing their allergies naturally, to restore their physical and emotional health and to get their happiness back into their life. If you ever need to get any information, support or advice regarding your allergy and your health problems, I would be more than happy to talk to you here. Subscribe to this blog and receive free weekly updates. How To Become Allergy Free – 5 Steps You Need To Know. Bentonite Clay Benefits for Bile Reflux Sufferers You May Not Have Known. Treating Autism with NAET is it Fact or Fiction? Your Baby and Colic – Two Natural Cures! Vegetable Gardening – the Cheapest and Best way to Get Organic Foods! Two Important Steps to Preventing Allergic Reaction to an Insect Bite! Tanya on Bile Reflux Treatment – What Doctors WON’T Tell You! Debby on Bile Reflux Treatment – What Doctors WON’T Tell You! RefluxMD, Inc. on Bile Reflux Treatment – What Doctors WON’T Tell You! Join our mailing list for allergy-related tips, giveaways and natural remedies to improve your allergy related disease today! The advertisements on my site are served by AdChoices. I have no control as to their content. However, the revenue from the advertisements makes it possible for me to continue blogging. I appreciate your understanding. © 2019 How to Become Allergy Free. All rights reserved.